How To Help Your Child Choose A Drug Treatment Program. Finding out that your child is struggling with addiction is one of the most frustrating and frightening things that you can go through as a parent. My daughter was 16 when I found out that she had a full-blown addiction to opiates. I found out because she had overdosed and was taken to the hospital by a friend’s parent. I felt so many things, fear for her life, anger, embarrassment and guilt for not having known she even had a problem. But mostly, gratitude because she survived the overdose and could now get the help she needed. Except, she didn’t want it. I thought for sure that the experience of an overdose would shake her up enough to quit, but it didn’t happen. The next several months were a nightmare. Now that her problem was out in the open, she didn’t even try to pretend she wasn’t using. I tried to control her, but my attempts failed at every turn. When she wanted to use, she just ran off and disappeared for a few days, and then returned home when she ran out of drugs and needed to eat and rest. I tried to keep drugs away from her, but then she would go into withdrawals. She would leave again and the process would start over. A series of events brought things to a head. I was done with the constant worrying and fights and not knowing if she was safe. I think she was finally starting to get tired of the situation, too, because when I gave her an ultimatum and told her she had to get help or she would no longer be able to come home, she agreed. My first instinct was to simply look in the phone book, find a rehab that would take our insurance and drop her off. But I could sense that she was getting resistant and I had learned that resistance is often a sign of fear of the unknown. I figured if I encouraged her to participate in the selection of her drug treatment program, it would help her feel more in control and less fearful. We researched several adolescent programs both in and out of the area. There were many different types of programs that ranged from inpatient hospital settings to outdoor wilderness camps. The idea of a sterile hospital environment frightened her, so we ruled that out. Drug treatment programs can vary wildly in the types of amenities and services they offer, as well as the treatment modalities they use. I have been in 12 step programs before, and I know that they work, so I encouraged her to choose a treatment center that offered 12 step integration into their program. She liked the idea of attending treatment in a different state, thinking that a major change of scenery would do her good. I agreed, because I know that being in unfamiliar surroundings makes it less likely that she will flee the program and seek out her using friends. She chose a program that was set in a homelike environment in the mountains. In addition to traditional therapeutic services like individual and group counseling and meetings, the program also offered animal-assisted therapy, yoga and meditation. They also had fun and challenging activities such as camping, hiking and wilderness survival. While these things appealed to her adventurous side, and sounded purely recreational, I knew that they were designed to foster communication, accountability, self-reliance and discipline. I feel that giving her some say over her treatment, and taking some time to research the drug treatment programs that are available helped her to be less afraid and take a more active approach to her own recovery. - A personalized approach. It is important that your teen get the individual attention he or she needs. Each person is different and needs a different approach. Treatment shouldn’t be cookie-cutter or one size fits all. It must recognize that there are many issues at play. Your child may be suffering from depression, trauma, low self-worth and other issues. These things must be addressed if he or she is to get better. - Treatment, not just detox. A quickie rehab that just aims to get your teen clean and then send them on their way is not sufficient. 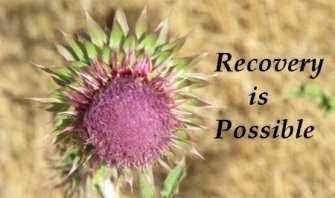 Addiction recovery is a process. - Credentials. Be sure to check their credentials, and find out what they mean. - Aftercare. Does your teen’s drug treatment program offer an aftercare program? Added support for those first weeks and months after treatment can make a huge difference. I feel that my daughter got a lot out of her treatment program, and I am glad that I allowed her to make some decisions and participate in her recovery instead of just forcing her into a program that I chose.